Sounds good doesn’t it? 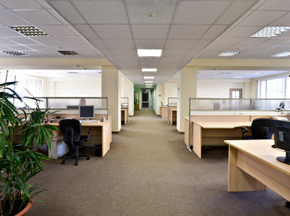 More and more cleaning and restoration contractors are attracted to regular commercial accounts for this very reason. However, the commercial sector has a totally different set of rules and you better learn what they are! Here’s some Frequently Asked Questions on commercial work and the answers we’ve learned from thousands of SFS members! “So how should I measure for commercial bidding?” Here’s how to avoid “measurement quibbling” from your commercial prospects. “What should I include on a 300,000 square foot institutional carpet cleaning proposal?” Just follow the simple principle of “divide and conquer along with these “big job” guidelines. “How can I price apartments low enough to get the work and yet still make money?” Yes, it IS possible to make a profit IF you follow these apartment production/pricing guidelines. “What should I say after introducing myself to a commercial cleaning prospect?” Yep, if you’re not careful here an awkward pause will develop and you will start to “babble”! Take control of the “commercial interview” with this Commercial Carpet Analysis form. “I am so sick of waiting for an employee to show up to let me into a commercial account. How can I get a key?” Steve shares one simple phrase plus a short script that (almost) always gets you your very own key! “OK. Now I FINALLY have several regular monthly commercial accounts but how do I organize them with different employees doing the work?” Develop a one page Commercial Account Profile for each regular job. And yes, we’ve made it easy for you! “How can I consistently get new commercial accounts signed up?” Just download this free Special Report on “Selling Commercial Cleaning”. It just may transform your business and maybe your life! “So what is all this talk about ‘encapsulation’ and what will it do for me?” Jeff Cutshall explains how “encapping” with the Cimex changed his business and then gives you a step-by-step outline on how to build a commercial encapsulation route. Want more “Success with commercial work” resources?